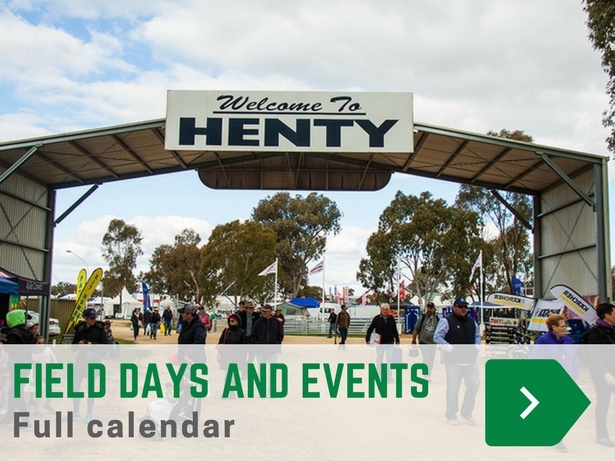 Our guide to some of May's best Agricultural and Rural Field days. May is a huge month on the 2018 Agricultural and Rural Field Day calender. Farms & Farm Machinery magazine and TradeFarmMachinery.com.au will be making an appearence at the wonderful AgFest in Tasmania, but if you can't make AgFest make sure you check out all of the other great field days across the country below. Agfest is a multi-award winning event and offers an excellent opportunity for your business to showcase its products to thousands of people. Operating for 35 years, Agfest is a Tasmanian success story that injects millions of dollars into the local economy annually. Agfest today is recognised throughout Australia and is recognised in the top 3 field day events. Highly regarded for its educational aspect, Tocal combines a genuine rural experience with commerce, entertainment, fashion, regional food and wine, and craft. Served with the renowned Tocal country hospitality. The North Queensland Field Days has been drawing thousands through the gates of the Stuart Correctional Farm Reserve in Townsville For over 50 years. Riverina Field days is held at the Griffith Showgrounds each May, Riverina Field days attracts close to 15,000 people each year and showcases the best agricultural machinery and products from the region. Mildua Field Days are two full days of the best that the region has to offer as well as the latest in agricultural machinery and innovation. Agriculturally focused exhibitors are joined by new exhibitors forming a wide range of appeal including local food & wine, health & beauty and more. Kids activities including the Children's Field Walk, jumping castle, a large play area & face painting ensure this is one for the whole family to enjoy. Cervus equipment celebrated 100 years of John Deere tractors by hosting a tractor training day.